A professor in an introductory science course discovers that some students are falling behind in their work, apparently because they haven’t bought the textbook. “Buy the book, don’t be cheap,” he exhorts. For students who have a parental credit card, or even their own, there is no excuse. But for those of much more modest means, the $300 cost is prohibitive: an insuperable barrier, in the first gateway course, to a hoped-for career in medicine. That sort of problem animated the 18 speakers, from selective institutions across the country, at the Harvard Summit on Excellence in Higher Education, held September 21 and 22 and devoted to the theme of “academic inclusion.” At a time when President Drew Faust’s Task Force on Inclusion and Belonging has brought its draft findings before the community for review, the summit’s academic theme focused on the heart of the teaching mission. Inclusion was easy when the student body was homogeneous, said Jonathan Holloway, who recently left the Yale College deanship to become provost at Northwestern University. In such circumstances, there was only one academic culture, and everyone arriving was already acculturated. Now, however, undergraduates are more diverse in many ways, including economically: Northwestern aims for “20/2020”: 20 percent of its student body made up of low-income students eligible for Pell Grants by the year 2020—and expects to beat the deadline. In those circumstances, students often need additional support, beyond admission and financial aid, to be ready for college-level courses. That places a new obligation on faculty members to be empathetic to their students, and on administrators to find deft ways to assist them—for example, realizing they need help to rent textbooks for the term, and providing it. In a preceding discussion about what inclusion means, Harvard College dean Rakesh Khurana unpacked his recurrent theme of providing students a “transformative” education. Even more than first-generation status (coming to college from a household where neither parent completed a college degree, in Harvard’s definition) or socioeconomic status, he said, the College has found that variation among students correlates with the kind of high school they attended. Those from less-demanding secondary schools tend not to have written and revised a substantial research paper, worked in study groups, or taken an advanced calculus course—all disadvantages for beginning work at Harvard. In response, he described a couple of pilot programs the College is now testing. Expository Writing 10, the course required of students who need to develop their skills in academic, analytical writing, has been restructured; instead of focusing on literary criticism, students were asked to examine issues such as “What do the walls of Harvard say?” (As Thomas Jehn, director of the writing program, explained later, Khurana received a binder of every student’s paper, proposing changes in Harvard’s portraiture, architecture, or other historical iconography.) In quantitative subjects, a series of seminars on problem-solving skills and close advising seemed to help students find ways to stick with their preferred fields in the sciences, rather than defaulting to social sciences. During the ensuing discussion, Khurana provided a different take on universities as social experiments. “Most of our students,” he said, “are coming from a highly segregated society”—putting colleges at the center of diversity in the United States today. Socially, that places on academic communities the burden of helping people learn how to live together productively and civilly, even in light of some colleges’ historic legacies of excluding women, minorities, and various ethnic groups in the past. Today, if they are to succeed at their mission of developing students’ potential to the fullest (by taking advantage of all the intellectual resources and opportunities on offer), Khurana said, colleges have to enable undergraduates to make authentic choices about their academic passions, not constrained choices reflecting the limits of their prior preparation. • “Social belonging.” Harry Elam ’78, Palmer professor in the humanities at Stanford, where he has a broad portfolio overseeing the arts and undergraduate education, talked about the challenge of “assur[ing] equity of access to certain majors, programs, and resources” when some students who have never had an AP course are seated beside classmates who have completed 15. He described programs for promoting a sense of “social belonging”—within the institution, in residences, and in extracurricular and affinity groups—as the underpinning for academic success. These include offering a summer academic bridge program, in residence; developing introductory science courses with focused instruction in problem-solving and active-learning pedagogies; and taking advantage of the way students themselves come together to pursue the issues that motivate them to joint activism—a cohesive, community-building force outside the curriculum. • Race. Joanne Berger-Sweeney, a neuroscientist who is president of Trinity College, and Talithia Williams, associate professor of mathematics at Harvey Mudd College, each addressed some of the enduring challenges facing people of color in science, engineering, and related fields. At both Trinity and Tufts, Berger-Sweeney said, she has worked on programs to overcome students’ sense that they were alone: “They couldn’t find a home,” she said, again highlighting the importance of a sense of belonging in their ability to deal with academic challenges at college. • An imaginative curriculum. Uri Treisman, now professor of mathematics and of public affairs at the University of Texas at Austin, one of the nation’s leaders in developing more effective ways of teaching mathematics to diverse audiences, recalled his doctoral studies at Berkeley, in the early 1960s. The demographics of the math cohort, a colleague had joked, looked like the outcome of an earthquake that melded Vermont with Taiwan (white and Asian, with neither black nor Hispanic students). Even then, he said, his inquiries into students’ interests and concerns made it clear that the diversity challenge was not their lack of motivation or preparation—the prevailing assumptions. Today, teaching what he characterized as an extremely demanding introductory calculus course at Austin—where half the students are Latino—he has conceived the curriculum as embracing not only mathematics, but also discovery, the learning process itself, and leadership. Thus, each class session begins with five minutes on the history of math, situating students in its long progress of breakthroughs. Students read research on learning and cognition, and apply what they learn to their own learning. And there are exercises in which students imagine themselves in future positions—on the board of a hospital, for instance—where their leadership obligations require them to use their quantitative skills. The aim, he said, is to help students navigate the boundaries of professors’ intellectual worlds, and to try them on. 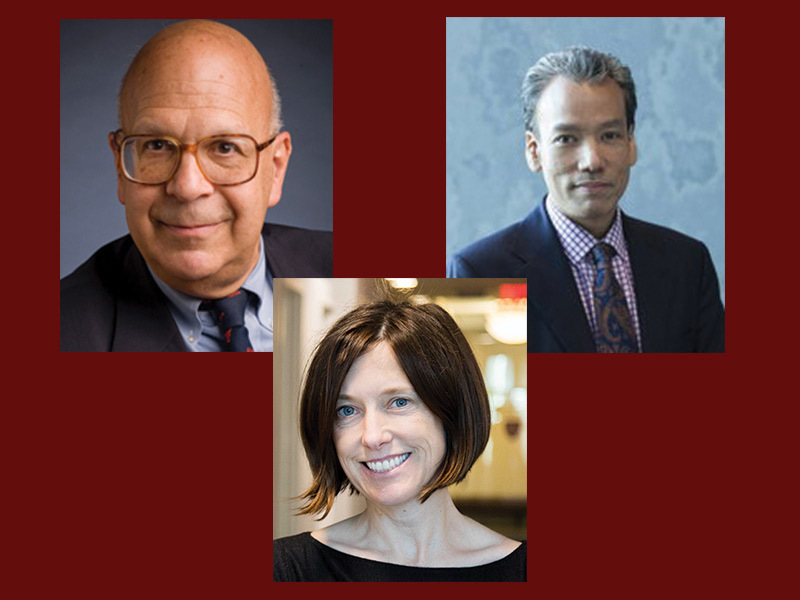 The summit’s Harvard organizers—Richard Light, Pforzheimer professor of teaching and learning; Robert Lue, Menschel faculty director of the Derek Bok Center for Teaching and Learning; Jenny Bergeron, director of educational research and evaluation; and their colleagues—hope to reconvene the forum annually, to address other pressing issues, and in future years, to see what actions participating campuses have taken to address them. In focusing first on academic inclusion, they chose a topic that many selective colleges and universities are now addressing, with increasing resources and urgency. 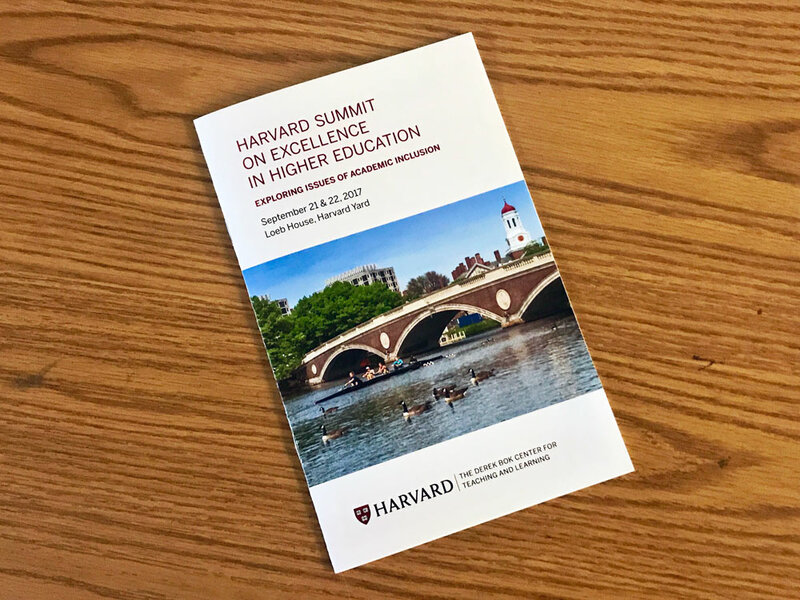 Harvard’s task force on inclusion and belonging, nearing the presentation of its final findings and recommendations (perhaps by year-end), is in an especially good position, and even under self-imposed pressure, to take the summit insights on academic inclusion to heart.